The Solent is Winston's home water. Numerous yacht clubs and associations organise racing year round, attracting entries from around the world. The Solent is where yacht racing in purpose-built boats began, with the Royal Yacht Squadron founded in 1815, organising the racing between royalty and wealthy industrialists in huge privately-owned yachts. 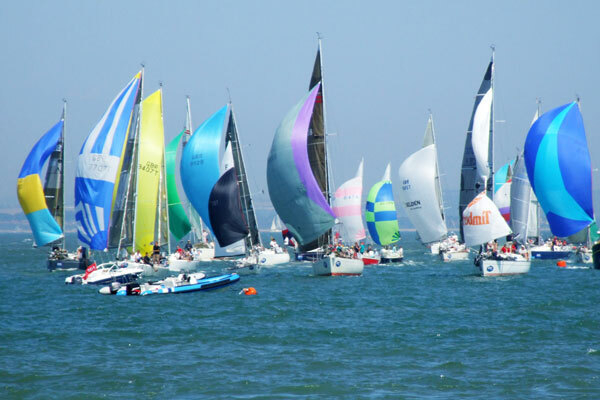 In the summer, it is not unusual to see dozens of races underway in every corner of the Solent, with children competing in the tiny Optimist class sharing the same enthusiasm and demonstrating the same basic skills as professional teams in the Commodore's Cup. The sheltered but sometimes teasing tidal waters of the Solent are truly a paradise for racing and cruising sailors alike. There's nowhere else like it, and over decades of introducing newcomers to its charms we know that a single day of Solent sailing can change people's lives forever!